Cultural Compulsive Disorder: John Carter Looks Official... But Will People Go See It? John Carter Looks Official... But Will People Go See It? As is common around this time of year (San Diego Comic Con time) lots of trailers are dropping for movies that don't come out until sometime next year. Also studios are scrambling to keep leaked trailers under wraps until they can be unveiled in Hall H some time later this week.This is the case with Disney's possible blockbuster franchise John Carter of Mars. Even though the trailer for John Carter was attached to Harry Potter last week, the embeddable version hadn't appeared online until yesterday. I was in one of the HP theaters that DID NOT show the John Carter trailer, so I didn't see it until yesterday as well. But once I did... all I could say is wow!!! Check out the trailer after the jump. Wow. 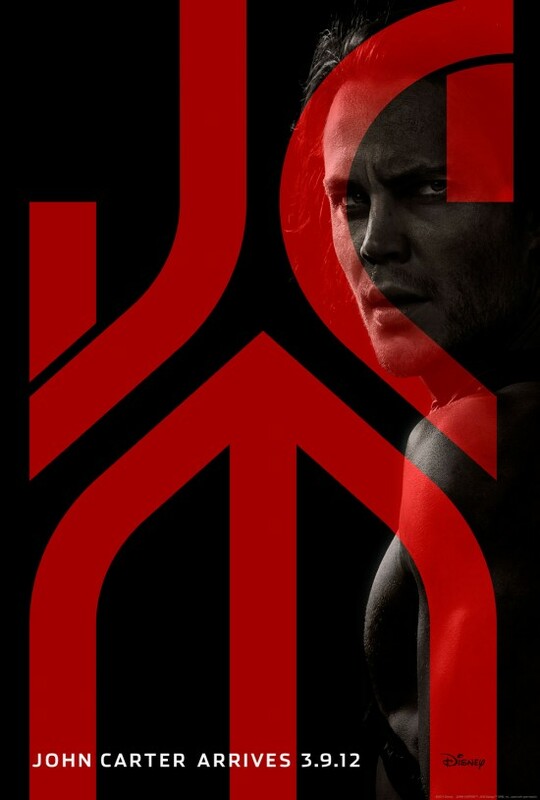 If you have read any of the John Carter books then you must be as excited as I am. I loved these books when I read them, and I must say that the gang over at the Mouse House seem to have nailed the look and feel of Barsoom (that is what they call Mars in the books). Taylor Kitch also makes for a formidable looking Carter. All in all, I say it looks great. But we are still a long way away from the release of the movie (March 2011), so I am sure a lot will change in the next few months. But from the 2 minute clip that you just saw, what do you think? Is John Carter your cup of Sci-Fi tea? Tell us your thoughts in the comment section below. I don't know man. I thought that traile rlooked pretty generic and boring. I think this may end up being a flop. My biggest gripe still is the title. "John Carter of Mars" is a movie I want to see. It was that title alone which mad my imagination race to pick up the book. That was all I needed. "John Carter" makes me drowsy. I don't know Rob. I mean after all, the movie is still 9 months away. That's mostly all used for special effects editing and mastering of the sound. I saw Jon Favereau tweet that he just finish the final post production touches on Cowboys & Aliens in late May/Early June, and that movie comes out next week!!! I am sure it's going to look impressive. As far as the title, I agree... kinda! The title alone drew me to the book. But the story and the characters are what kept me around for the next 5. They changed the name of the first Harry Potter movie to be more generic and USA-friendly, and that series turned out fine. I think Disney is betting the house on this possible multi film franchise (there is like 15 books, even though I only read 6). After seeing what they did with Tron after 25 years and the National Treasure films (I really like those movies)I'm going with the Mouse. I really hope so. It's less about the effects though than the style. It just didn't grab me. You bring up Cowboys and Aliens, and I remember the first trailer for that grabbed me cause it looked so rich. And I even thought to myself it felt a little like John Carter. I always thought of JC as a western/fantasy. But that teaser didn't do it. It came off as more Prince Or Persia. The title just irks me from a marketing perspective. If you want to entice people who don't know the property, I think OF Mars is the way to go. They did change the Potter title, but that was because the word meant a different thing here, and they replaced it with an equally magical name. They didn't just call it "Harry Potter." I worry that JC will not be the next Harry Potter, but more the next Percy Jackson.